After internal meeting, India decides to hire lawyers in Italy; Carlo Gerosa arranged kickback network but had no political connections in India. 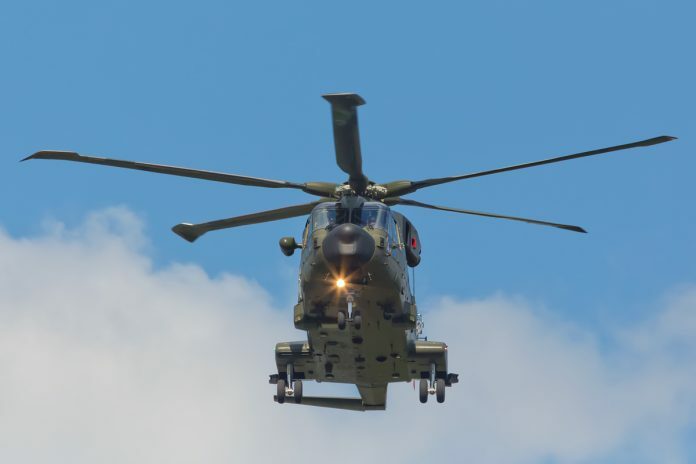 New Delhi: As India moves to hire a legal team in Italy to pursue the case of a middleman, arrested in connection with the AgustaWestland VVIP chopper scam, officials said that extradition or even access to the foreign national would be an uphill task. Carlo Gerosa — one of the three middlemen who brokered the €556-million deal to sell VVIP choppers to India by allegedly influencing the selection process — was arrested last week and released on bail in Italy on the basis of an Interpol red corner notice issued by India. However, the absence of a comprehensive extradition agreement or even a mutual legal assistance treaty (MLAT) with Italy will limit options for quick access to the arrested consultant who allegedly received a share of kickbacks for introducing the Tyagi brothers (cousins of former Air Chief Marshal S.P. Tyagi) to AgustaWestland. India and Italy currently have an extradition and assistance agreement limited to drug trafficking. Besides, the bitter battle over two Italian marines who are under trial for allegedly killing two fishermen off the Kerala coast is bound to complicate the process further. Both marines, who were being tried by an Indian court, are now back in Italy with the case being taken up by the International Tribunal for the Law of the Sea. Sources said that a high-level meeting was conducted earlier this week with officials of the ministry of external affairs to discuss options for proceeding on the arrest. The arrest itself was executed on the basis of a red corner notice for money laundering, issued by the Enforcement Directorate. India will now hire a legal team in Italy to pursue the case and to get access to Gerosa. Though he is one of the three middlemen named by the ED and the CBI, Gerosa is perhaps the smallest catch when it comes to the AgustaWestland case. Documents accessed by ThePrint indicate that Gerosa introduced Italian company officials to the Tyagi family and arranged the kickback network but show nothing about his political connections in India. The political liaising, it is believed, was carried out primarily by Christian Michel, the British consultant who is currently based in Dubai. Indian authorities have been trying unsuccessfully to get access to Michel, with a red corner notice out against him as well. Michel, however, has managed to evade the law, even thwarting Italian attempts to extradite him for case proceedings there. The third middleman, Guido Hashke, is also suspected to have a larger role to play in the bribery case and was instrumental in setting up a maze of companies through which the kickbacks were routed. Hashke and Michel even had a mutual agreement on sharing the kickbacks, documents related to which were found by Italian investigators probing the case. Next articleHead On: Does PM Narendra Modi’s speech put the anxieties over economy to rest?